Note that this uses scriptDB which has now been deprecated. I haven't yet got round to changing the backend. Please check back later. 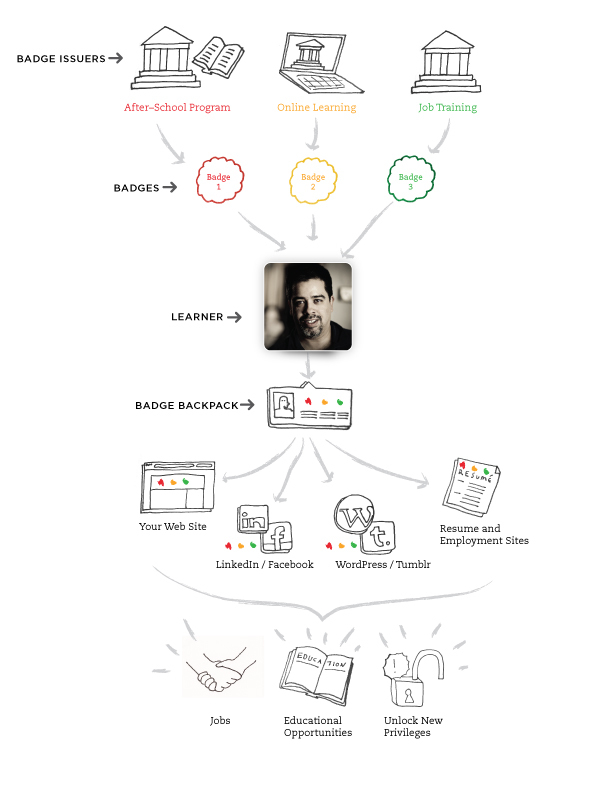 Here is a graphic reproduced from the mozilla open badges website, which i think sums up the openbadges ecosystem rather well. Badges are evidence of some capability or knowledge you have demonstrated you have. These are stored in a badge backpack, and can be displayed on some website or blog. I'll create a section on how I'm implementing this as I go along, so you can implement something similar on your site. You can see on the right the type of thing with some scratch data. This will administer the questionset that has been associated with this panelset.